The domain name of visitors to the Website. Upon visiting the Website, users will be prompted to create an account. In order to create an account users must enter their e-mail addresses and their names. Users who create accounts may purchase items on the Website. In order to purchase items, users will be prompted to submit their name, billing address, ship-to address, phone number, and credit card payment information. Aggregate information such that the data no longer identifies you. We may use and share for any purpose aggregated information that does not uniquely identify you when it enables us to improve and enrich our services and website content. ANALYTICS - Like many websites, we use a third party service provider, such as Google Analytics, to collect information about your use of our website. We track data about traffic to our website and your visit to and experience on our website, which information we use to improve our website structure and content. CHOICE/OPTING OUT - You may choose to restrict our use of your information. If you are a user of our Website or services, you may restrict distribution of your information by indicating such restrictions in your account when asked. On the Website, you have the option to remove your name and personal information from any information that will or may be disclosed to a third party although disclosures to law enforcement or to meet other legal requirements may still be required. You may exercise your choice to “opt-out” of providing personal information in many ways. When selecting certain services or features of the Website, you can choose whether to share personal information with respect to the particular service or feature. If you receive communications from us that you do not want to receive, you can opt-out from receiving these communications, by deleting your registration profile from our database or specifically telling us to stop sending them to you. You may also “opt-out” entirely from providing personal information to us by not providing information or registering on the Website. You may also choose at a later date to have your name removed from our database. However, certain sections of the Website do require registration in order to use these sections and services. If you choose not to register or provide certain information, these sections will not be available for your use. ONWARD TRANSFER (TRANSFERS TO THIRD PARTIES) - If we propose to disclose your information to a third party that is acting as our agent or on our behalf, we will ensure that the third party has agreed to assure adequate protection of your information. ACCESS - You can access your information by logging into your account on the Website. Once there, you can modify, correct, amend or delete your information. Ordinarily, we will not restrict access to your information except in rare cases where we reasonably believe that the rights of persons other than yourself would be violated. SECURITY - This Website has security measures in place to help protect against the loss, misuse and alteration of the information under our control. 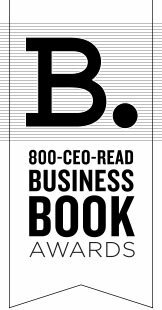 While we cannot guarantee that loss, misuse or alteration to data will not occur, 800 CEO READ uses industry standards, such as Secure Socket Layers (“SSL”) technology, to help safeguard against such occurrences. In certain areas, the information passed between your browser and our system is encrypted with SSL technology to create a protected connection between you and the Website to ensure confidentiality. Your account containing your information is password-protected. Only those who log on with your password can access your account. We have taken appropriate security measures to protect your personal information from loss, misuse and unauthorized access, disclosure, alteration and destruction. However, please remember that you play a valuable part in security as well. You are responsible for protecting your password for accessing your account. After you have finished using the Website, you should log off and exit your browser so no unauthorized persons can use the Website with your name and account information. Furthermore, if you provide any information to parties who operate websites that are linked to or from this Website, different rules may apply to their collection, use, or disclosure of your personal information. We encourage you to review the privacy policies of such other sites before revealing any sensitive or personal information. Regardless of the precautions taken by you or by us, “perfect security” does not exist on the Internet. We cannot ensure or warrant the ultimate security of any information you transmit. DATA INTEGRITY - We seek to ensure that your information is reliable for the use you intend, and that it is accurate, complete, and current. To assist us in ensuring that your information is relevant on an ongoing basis for its intended purposes, we encourage you to update your information on the Website as frequently as is necessary. This can be done by entering the Website, signing in using your e-mail address and password. After your account information is displayed you can submit your modifications to us. We may periodically send you a notice asking you to visit the Website and update your information. COOKIES - A cookie is a small data file that certain websites write to your computer’s hard drive when you visit those sites. A cookie file can contain information such as a user ID that a website uses to track the pages you have visited. A persistent cookie allows the website to remember you on subsequent visits. We do not set persistent cookies unless you ask to use the "remember me" feature available on the Website. AD SERVERS - We do not partner with or have special relationships with any ad server companies. We have developed our own ad software in house. CHILDREN’S PRIVACY - 800 CEO READ is concerned about the safety of children and their use of the Internet. This Website is not directed at children under the age of 13 and does not knowingly collect personal data from children under the age of 13. If we receive actual knowledge that we have received such personal information without the required verifiable parental consent, we will delete the information from our database as soon as we practically can. CHANGES IN OWNERSHIP - In the event that ownership of 800 CEO READ was to change as a result of a merger, acquisition or transfer to another company, personal information that you provide to 800 CEO READ through this Website may be transferred. If such a transfer results in a material change in the use of your personal information, 800 CEO READ will provide notice about your choices to decline to permit such a transfer.